The USB-485 is an isolated USB to RS422 or RS485 converter. It is ideal for computers which do not have a physical serial port and cannot be used with a conventional interface converter. The USB port also provides sufficient power for a full-spec RS422 or RS485 interface capable of driving termination resistors and long cables. Drivers are included (on an 80mm CD) to create a virtual COM port in the operating system. The optional CAB-003-XLR cable converts the DB9 connector to the standard 3-pin male XLR used in professional broadcast applications. The USB-485 is unique in the market in that it has a world-unique device ID which ensures that it appears under the same COM port number regardless of which USB port on a particular PC it is plugged into. This simplifies application software configuration and eliminates many tech support issues. 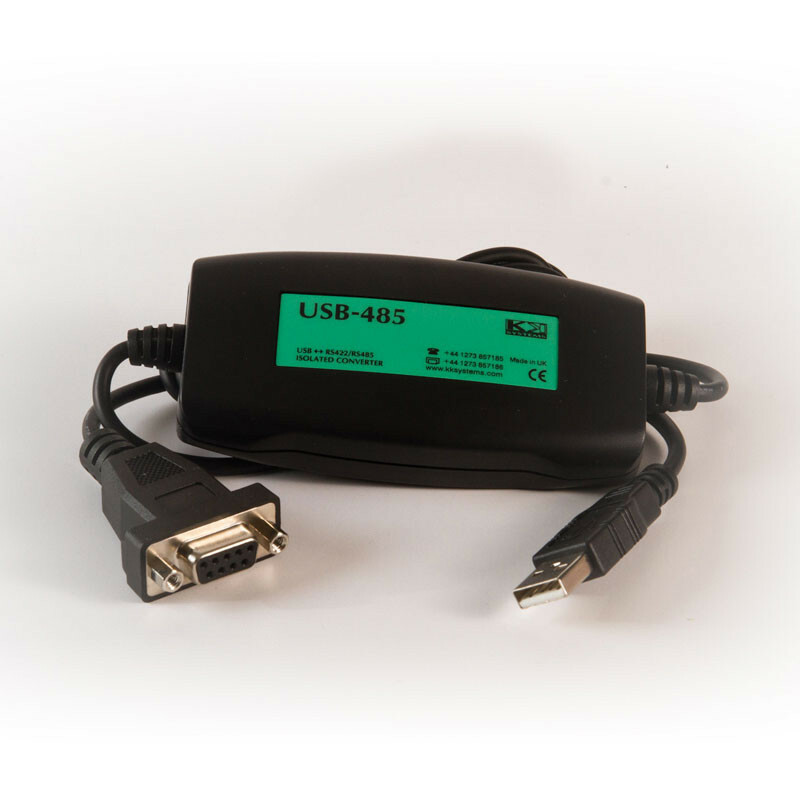 The USB-485 is an isolated USB to RS422 or RS485 converter. It is ideal for laptops which do not have a physical serial port and cannot be used with a conventional interface converter. The USB port also provides sufficient power for a full-spec RS422 or RS485 interface capable of driving termination resistors and long cables. Drivers are included (on an 80mm CD) to create a virtual COM port in the operating system. The optional CAB-003-XLR cable converts the DB9 connector to the standard 3-pin male XLR used in professional broadcast applications. As recommended by XTA, when combined with the CAB-003-XLR cable, this converter provides a remote interface between their iCore software and DP series audio management controllers.